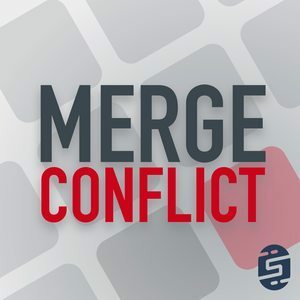 We found 6 episodes of Merge Conflict with the tag “ooui”. We tackle a listener submitted topic this week of how we make decisions between performance, frameworks, and convenience when building applications. It is an interesting question when choosing a framework or library and their trade-offs. Yes! Half way to 180 episodes! We are back for lightning talks covering not 6 but 7 different topics this week! We take a quick recap of web assembly, but jump directly into Flutter, React Native, source control, server-less computer, progressive web apps, and more. You read that correct, you can now run .NET Code directly in your browser with WebAssembly and Mono and it is absolutely amazing. On top of that you can run Xamarin.Forms and ASP.NET applications directly in the browser without any plugins. Frank explains how this all works. Did we just become web developers? This week we slip over to the ASP.NET Core side of things as we build out web apps with Razor Pages, Ooui, and all sorts of C#/.NET and Azure goodness. When having SQLite isn't enough for James he has to go and try to solve offline data caching again with Monkey Cache. We discuss why this open source library happened, where it is going, what are best practices for data caching, and so much more. Xamarin.Forms on the web? XAML powering your ASP.NET applications? How can this be so? Well with Frank's new Ooui library the life long dream is now a reality. While still early on, developers are loving it! We discuss where it came from and where it is going next.